Daisy Ridley may be the Rey of our dreams but it turns out, the role was almost played by a Star Wars legacy. 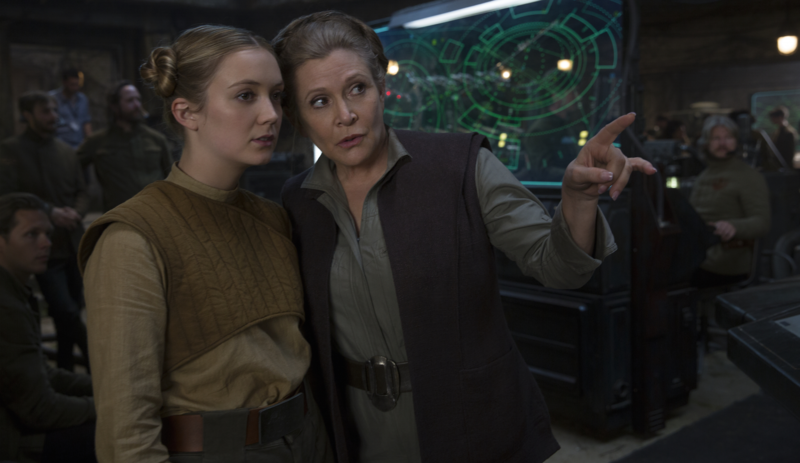 Most Star Wars fans know that Billie Lourd made her acting debut as Lieutenant Connix in The Force Awakens alongside her mom — the late, great Carrie Fisher, who reprised her role as General Leia Organa — but Lourd just revealed that she initially auditioned to play Rey. The American Horror Story: Cult actress told Ellen DeGeneres that director J.J. Abrams asked her to come in to read for Rey, who he was struggling to cast. While Ridley ended up landing the role, Lourd’s experience on the Star Wars set led her to pursue acting professionally. "So I basically, J.J. Abrams called me to come in for Star Wars because he couldn't find somebody for the lead," Lourd told DeGeneres. "He ended up finding Daisy Ridley, who's an incredible actress, so talented. But I went in and he ended up giving me this tiny role with a couple lines and I was super excited and didn't know what was gonna happen, and ended up going and fell in love with it." She added that after The Force Awakens, she decided to continue acting, and met with Ryan Murphy, who quickly cast her in Scream Queens. We’re so glad Lourd got to act alongside her mom in her first role — even if it wasn’t the lead! The Scream Queens actress will reprise her role as Lieutenant Connix alongside her mom in The Last Jedi, which hits theaters on December 15th.